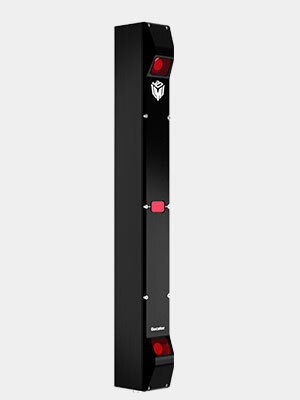 Dual Triangulation 3D Laser Line Profile Sensors Two cameras maximize scan coverage and minimize occlusions for applications such as primary log scanning. •	Megapixel imager. 1280 points per profile resolution •	Field-of-view up to 1260 mm •	Measurement range up to 800 mm DUAL CAMERA 3D SMART PROFILE SENSOR - The Gocator 2880 smart sensor is built to thrive in the demanding industrial conditions of the factory floor. Gocator’s simple and flexible design enables factories to reduce operational cost and maximize profitability by significantly improving efficiencies in product validation. With its built-in dual cameras, the 2880 can rapidly generate complete scans of large objects with complicated shapes.